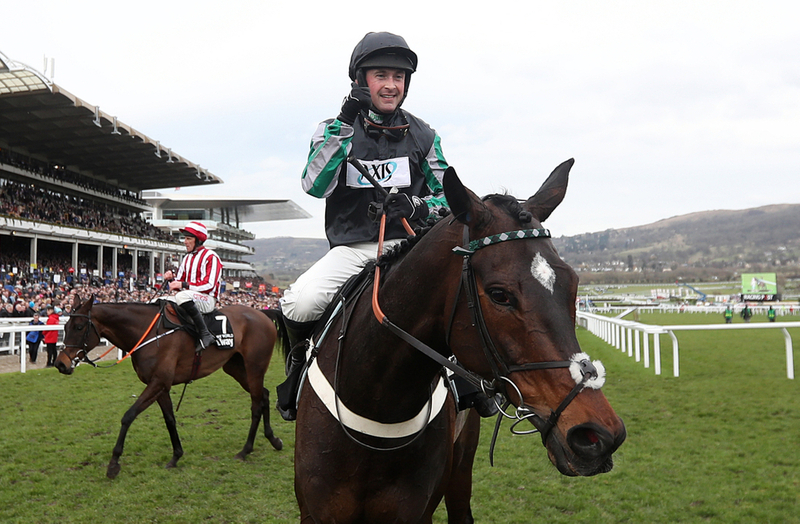 Champion Trainer Nicky Henderson has confirmed that his star performer Altior will not be heading to Aintree to contest the JLT Melling Chase, with stablemate Santini also set to miss the National Festival. Henderson suggested last week that his dual Champion Chaser would begin his quest over a further distance on Merseyside, where a victory would have seen him surpass Big Buck's record of eighteen straight victories. A possible clash with the Ascot Chase scorer Cyrname beckoned, but the man from Seven Burrows may keep his star off until the closing day of the season, with another trip to Sandown's bet365 Celebration Chase on April 27 on the cards. Explaining the decision, Henderson said in his Unibet blog on Friday: "Altior is absolutely fine and there is nothing to worry about, but Nico [de Boinville] had a couple of sits on him this week and jumped four fences yesterday, and I was very hopeful he'd be up to running in the Melling Chase. "To the eye he looks awesome, but Nico just believes he's still feeling the effects of Cheltenham. It's a very similar scenario to last year, and we only have three weeks this time, but the horse tells us where he is and at the moment he's telling us that we need to sit this one out and go to Sandown for the Celebration Chase." The current Champion Trainer also declared that Santini, second in the RSA Chase to Topofthegame, was also feeling the effects of his Festival exploits, and was in fact finished for the season. Bound for the Betway Mildmay Novices' Chase, last year's Albert Bartlett third will head for an early summer holiday and will be campaigned next year for what is expected to be the Gold Cup. The Lambourn-based trainer is still set to send a useful clan of hopefuls to the iconic National meeting next weekend, including Champion Hurdle faller Buveur D'Air, who parted company with jockey Barry Geraghty at the third flight when aiming for a third consecutive title at the Festival. Buveur D'Air is entered in Thursday's Betway Aintree Hurdle, which could see a repeat clash with Apple's Jade - who flopped in the big race at Prestbury Park, and Samcro, who Buveur D'Air beat in the Fighting Fifth at Newcastle earlier in the season oh-so convincingly. His Triumph Hurdle winner Pentland Hills also currently remains in tact in the Grade One Doom Bar Anniversary 4-Y-O Juvenile Hurdle on Thursday's card.